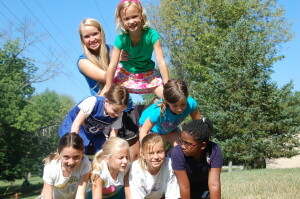 Junior campers explore the summer in a fun, loving, and nurturing environment surrounded with a Christ-centered curriculum. Snacks are provided and a low camper-to-counselor ratio is guaranteed! Junior Camp costs $140 a week. A variety of topics are explored. Our objectives are through activities in art, games, movement, music, teamwork and Christian living. Bible stories that tie in with object lessons will be taught. 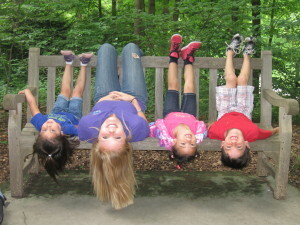 Junior campers participate in a celebration each morning with singing and skits. Daily activities include swimming, crafts, and outdoor play. Please pack and label clothes for messy stuff (including socks and underwear), a swimsuit, water bottle, towel, sunscreen, bug spray, etc. Please remember to pack a sack lunch every day, or order a Canteen lunch! Junior campers will be dropped off and picked up with the big campers.